What is SynMed? SynMed is an automated dispensing machine for solid oral medication, which provides incredible accuracy and efficiency in drug dispensing and task verification. It is a widely used technology for pharmacies where many of their customers are taking multiple medications. This technology helps to free up pharmacies from the tedious task of manually dispensing individual medication, which allows pharmacies to dedicate themselves to other tasks. 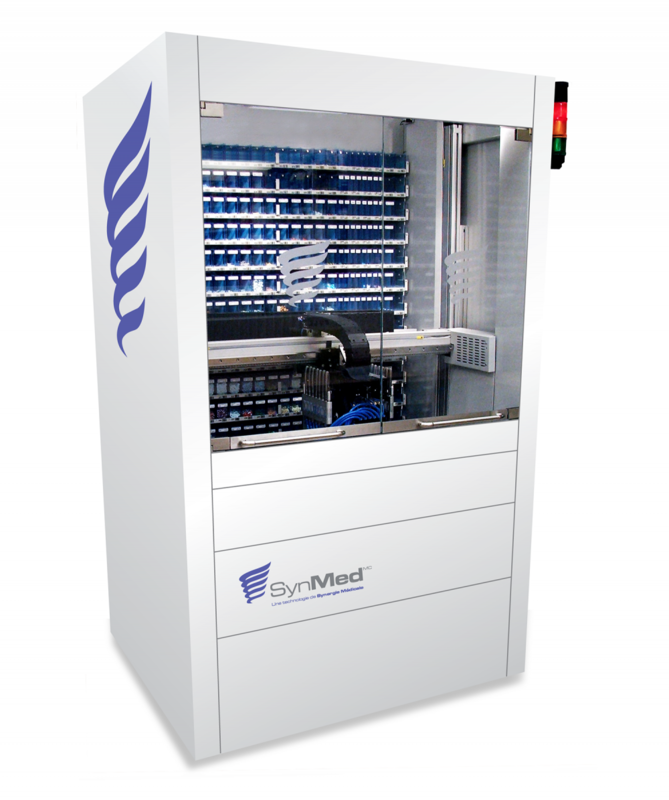 The biggest advantage of the SynMed is the speed in which it dispenses medication and how effectively it eliminates all the tasks involved in manual preparation of blister cards. The machine is capable of dispensing as many as 55 doses per minute through managing the selection of the medication while counting and positioning it within the blisters at a continuous pace. Furthermore, the verification process is simplified and accelerated thanks to the many visual markers and the information printed on the blister card. EMARS stands for Electronic Medication Administration Record and is software that is used to help pharmacies administer their prescriptions electronically. EMARS are an extremely efficient way for pharmacies to improve quality care of patients through its timely and highly accurate record keeping. The advantages to using EMARS are tenfold. The administrative errors are drastically reduced, which makes using EMARs much safer for client care and administering prescriptions to customers/patients. In addition, they require far less manual data entry while further eliminating the need for paper prescriptions.